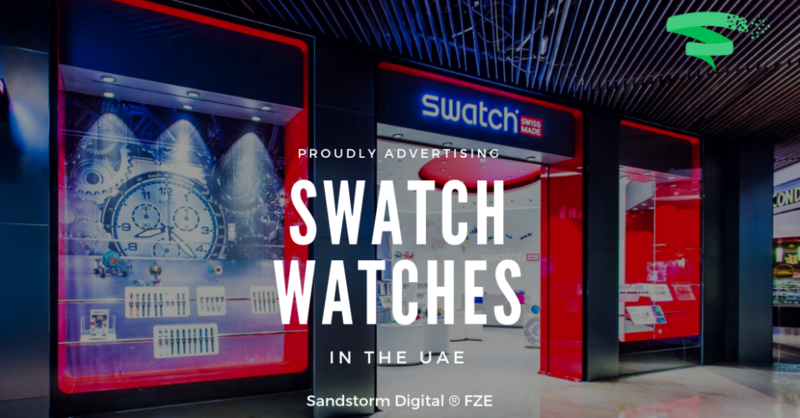 We’re thrilled to announce the addition of Swatch watches to our roster of Search and Display advertising clients in the UAE. Our client Rivoli Group is the official retailer for SWATCH across United Arab Emirates, Qatar, Bahrain and Oman. Established in 1982 by Nicolas G. Hayek, SWATCH is recognized as one of the world’s most fashionable brands for Swiss watches and jewellery. The first Swatch watch was released in the Swiss market in 1983 and carved a lasting impression with its provocative characteristics, spirited design and immense success. We are delighted to count this high-profile recognisable global brand among our roster of clients and look forward to assisting them in growing their market share in the region. For more information about this news please contact pr at sandstorm digital dot com.